Raymond Swisher added a comment on Profile. 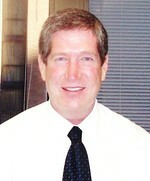 Raymond Swisher updated profile. View. Raymond Swisher has a birthday today. Raymond Swisher posted a message. New comment added. Raymond Swisher has left an In Memory comment for Cathie Curtner Jacobs Billhardt. Raymond Swisher has a birthday today. New comment added.